Install @angular/cli globally with latest nodeJS.
? Which stylesheet format would you like to use? Nowadays GitHub and Bitbucket are offering private repositories for free accounts. Use the following steps for creating a new repository. $git commit -m "first commit"
Git will display the notification for package.json vulnerabilities. This will update the project package file with latest versions. $git commit -m "Audit Fix Change"
Choose your firebase project by clicking down arrow. If not just select choose default project. This process will create .firebaserc initialization file. Modify the project code. You will find this in Firbase console. Go to your project and modify the outputPath value to dist. Create a free account using GitHub or BitBucket account. CircleCI will import all of your GitHub/Bitbucket projects. Click on Set Up Project button. Choose Linux as operating system with Node language. You have to create a .circleci folder with config.yml pipeline stages file. You can add multiple stages using -run. Here npm install and npm run build are important command, ignored unit testing for this demos. Pipeline with fail, when you hit the Start Building button. 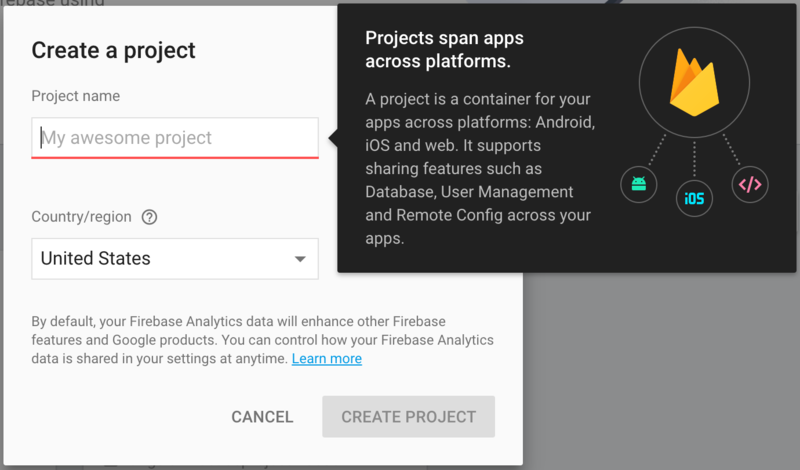 Because there are few steps pending to access firebase. Go to your project folder and execute firbase login:ci. This will take you to the browser for Google authentication and redirect back to with Firebase token. Select the project and click on the settings(gear) icon on top right. You will find the option for Enviroment Variable. Create a variable with the name of FIREBASE_TOKEN, which is used in config.yml command for Firebase deploy. This is required for Firbase external access. Go to project folder and execute the following command to update the package.json. CircleCI will use this firebase tool library for deployments. $git commit -m "CircleCi yml file"
Once the GitHub push happens, the pipeline automatically start the steps to deploy the changes on Firebase hosting. Now you will find the successful build. If you are working with multiple branches. Try to ignore develop branches. Include branches and use only keep the master branch for building the pipeline for deployments. Add the domain and continue. Use these A records values in domain DNS settings.